"We are not allowed to talk about past mistakes." Li Rui said this in 2013, while reflecting on the similarities between China's then-new leader Xi Jinping and the founding father of Communist China, Mao Zedong. Mr Xi, he warned, was echoing Mao's suppression of individual thought, and was trying to build a similar cult of personality - both things he had experienced at first hand. Li Rui joined the Communist Party in 1937, at the start of the brutal Sino-Japanese war, and 12 years before the party won the civil war that established the People's Republic. 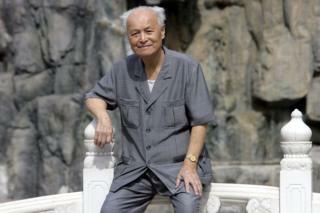 He was hand-picked by Mao to become his personal secretary in 1958. But he was also imprisoned soon afterwards for criticising Mao's Great Leap Forward, the failed modernisation programme now thought to have killed between 30 and 60 million people through torture and starvation. Despite this turbulent history with the party, the fact that Mr Li was one of the original revolutionaries meant that he occupied a special place in contemporary China - one that allowed him a degree of freedom to talk about the ruling party's many issues, and how he felt things should be done differently. 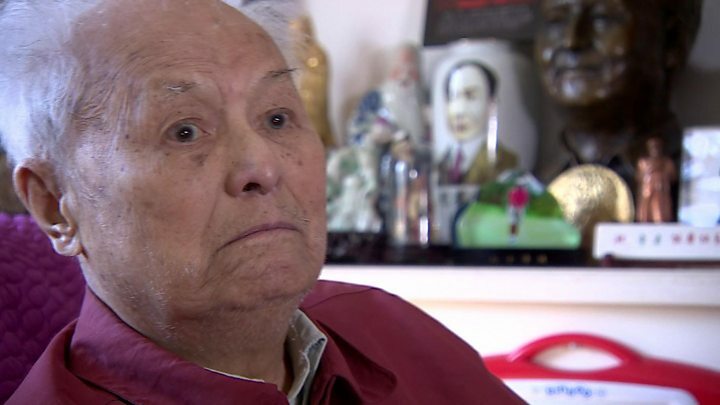 People may not be allowed to talk about past mistakes, but Mr Li did it anyway - and his work has helped historians understand the truth and scale of Mao's atrocities. Li Rui died in Beiijng on Saturday, aged 101. As a university student, Mr Li joined a group of idealistic Communist activists protesting against Japanese occupation. Shortly afterwards, at the age of 20, he officially joined the party. He was tortured for his communist activism. But things changed when the party came into power in 1949, and by 1958 Mr Li had become the youngest vice minister in China. It was also that year that he had a meeting with Mao that would change the course of his life. Mao, having seen Mr Li argue passionately against building the Three Gorges Dam on the Yangtze River, chose him to be his personal secretary. Their relationship didn't last long. In 1959, Mr Li openly criticised Mao's Great Leap Forward - a policy that was supposed to boost China's economic output, but instead unleashed widespread famine across the country. For this transgression Mr Li was expelled from the Communist Party, and he was imprisoned for eight years in Qincheng, maximum security prison built for the detention of disgraced senior party officials. "Mao's way of thinking and governing was terrifying," he would tell the Guardian newspaper many years later. "He put no value on human life. The deaths of others meant nothing to him." Image caption Li Rui said Mao Zedong, pictured, "put no value on human life"
Following Mao's death, the more pragmatic Deng Xiaoping came to power in 1978 and Mr Li was rehabilitated and allowed back into the party. He then became a strong advocate for political reform, and in his later years, threw himself into calling for China to move further towards a European socialist-style system. He wrote five books on Mao, all of which were published overseas and banned in mainland China. His last book, published in 2013, called for the current "one-party, one-leader and one-ideology regime" to be overhauled. His daughter, Li Nanyang, has spoken of having her copies of his memoir confiscated at Beijing's airport. Aside from writing books, he worked right into his 90s as a patron of the reformist magazine Yanhuang Chunqiu - roughly translated as "China through the ages". The magazine was taken over in 2016. Its editor Wu Si was forced out, and its former staff released a statement warning that "anybody who publishes any periodicals with the title of Yanhuang Chunqiu will be nothing to do with [them]". Professor Steve Tsang, director of SOAS's China Institute, tells BBC News that this affected Li Rui deeply. "The single most important thing that Li Rui had, was the patronage that he gave to the magazine Yanhuang Chunqiu," Professor Tsang says. "It does still exist, but it's been completely changed it terms of management and focus. It's practically a different magazine." But even though his writing was censored, Mr Li was not a dissident - he remained a party member until his death. And the fact that he was left to compose his memoirs from a prestigious apartment block in Beijing shows how, despite his outspoken criticism of the current leadership, he continued to be revered for his role as one of the country's original revolutionaries. But with Mr Li dies the idealism of the activist who joined his party eight decades ago, and spent the years since vigorously rebelling against leaders who abused their power. "He was among the last of that generation of idealists who joined the Communist Party at the beginning, and who tried to hold the Communist Party to the rhetoric [they heard] when they were being recruited," Prof Tsang says. "There is probably nobody else who will hold the party now to what the party had originally said it was meant to do."